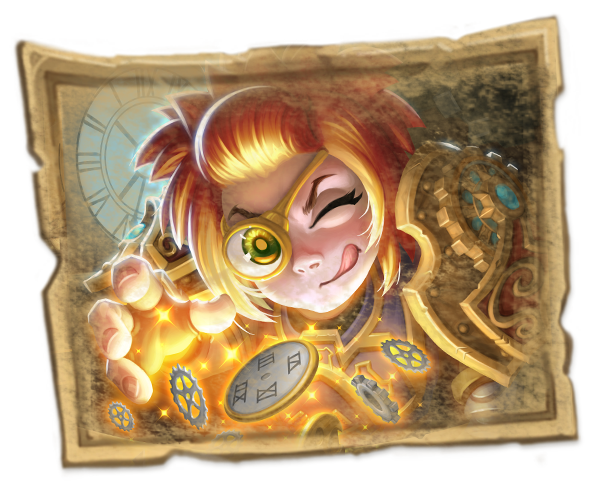 Don’t be deceived by this fresh-faced, young gnome—Toki is a powerful mage who possesses an uncanny talent for time magic. Unusually, she often channels her power through arcane devices of her own invention, rather than casting spells. Her unflappable determination and willingness to take inconceivable risks make her a dangerously effective hunter. Somehow, she is always exactly where she needs to be, at the exact moment she needs to be there, and chance events tend to go her way far more often than they should. Unfortunately, her extreme talent is paired with a blithe disregard for the consequences that her magics might have for the fabric of time. 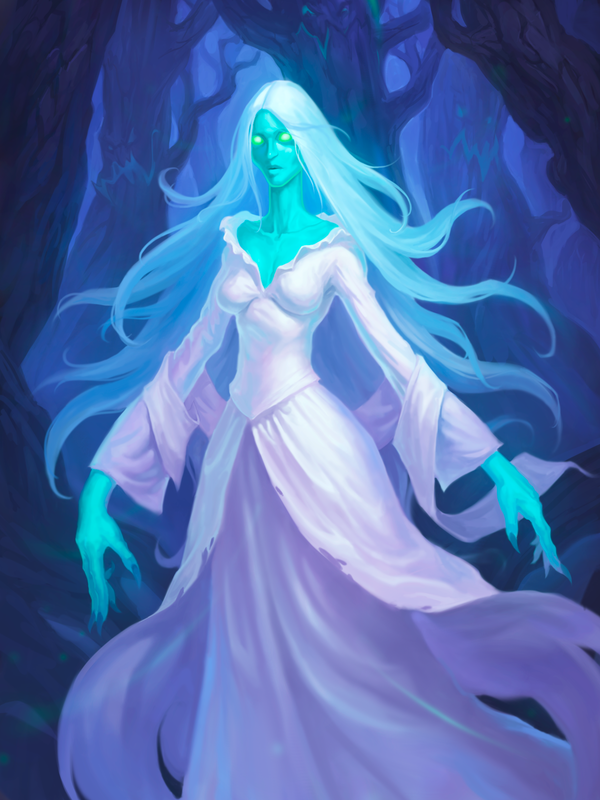 She displays a similar cheerful apathy toward both Gilneas and the curse—she appears solely interested in stopping Hagatha from affecting an event in her own future. 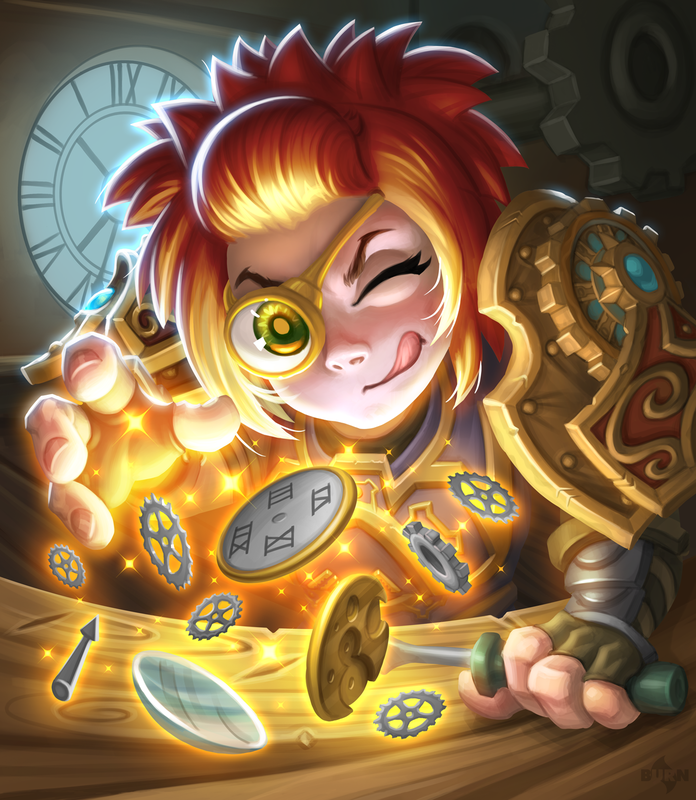 It is certain that Toki will play a key role in undoing Hagatha’s work in the Witchwood—no matter how many tries it takes! This scarred and grizzled arch-mage is fiendishly powerful, with an incredible and innate control over time magic. There have been frequent sightings of her in the city of late, though only for moments at a time. Startled witnesses have noted that her form flickers in and out of existence— it’s as if she can’t maintain her presence in this timeline for long, and they describe her as seeming haunted, crazed, or obsessed. 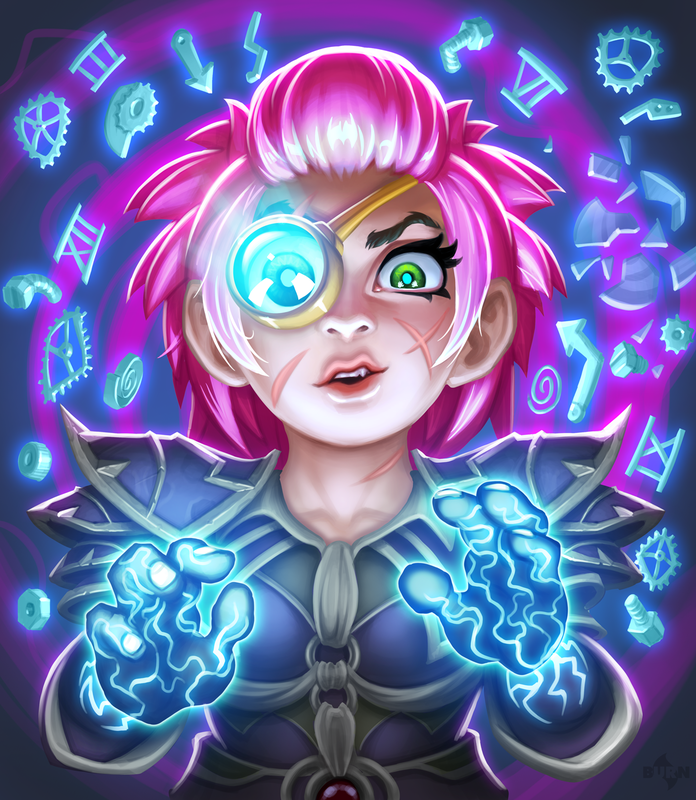 Bizarrely, she has been showing citizens pictures of herself and asking them if they have “seen this gnome.” She displays a grim disregard for both Gilneas and the curse—she appears solely interested in stopping someone in this city from affecting an event in her own future. It seems clear that she absolutely will not stop until she finds her quarry. Given her evident power, it’s certain to be a bad day for that unfortunate soul when the time comes. No being akin to Baku exists in any of our exhaustive records describing serpents, dragonhawks, dragons, and other scaled, magical creatures. Given that this being has not been seen physically by anyone at all—instead observed solely via shared dream visions—our duty to investigate her nature is clear. 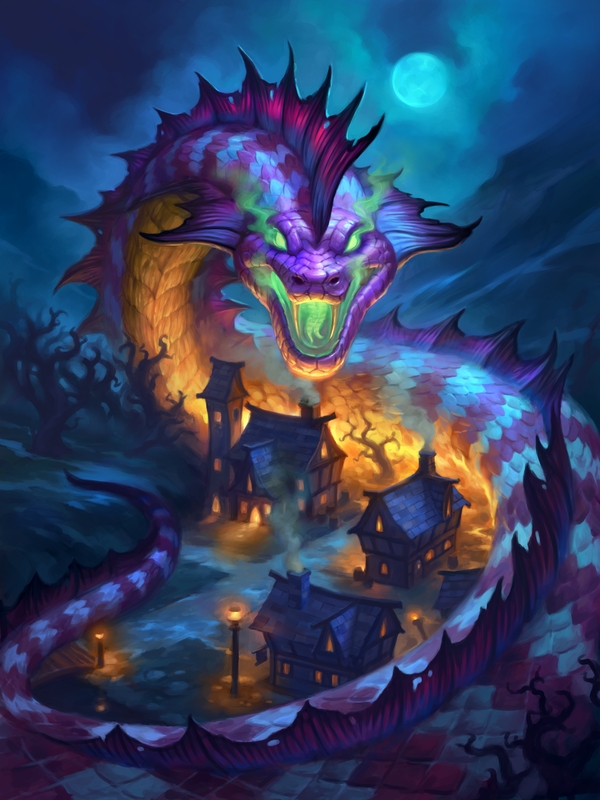 Our arcanists’ initial hypothesis is that Baku may in fact be the tormented psyche of a dragon whose physical form is trapped within the bounds of the Witchwood, but outside of physical reality—some kind of dream-dwelling projection of this dragon’s mind, warped and twisted by Hagatha’s own nightmares. Whatever the Mooneater’s true nature, those who dream of her tend to slowly descend into a fugue state—neither waking nor dreaming—and develop the ability to manifest their will in surprising ways. In brief moments of lucidity, these subjects express a feeling of crushing, unyielding dread, and report seeing a kaleidoscopic serpent coiling and stretching across the horizon, blotting out the sky overhead. The earliest mentions of this bizarre entity were recorded in nonsensical children’s rhymes. 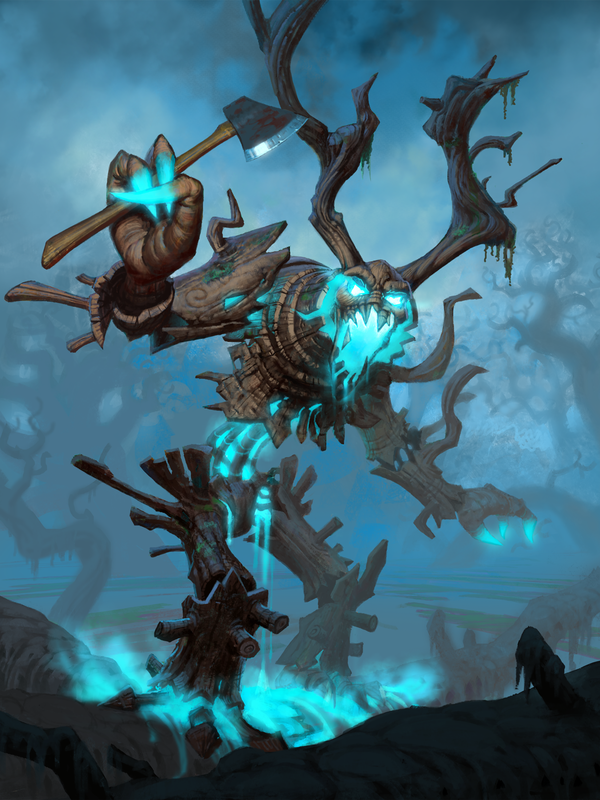 As a result, initial reports of the Shudderwock in the woods were dismissed as the hysterical prattle of an unhinged mind. 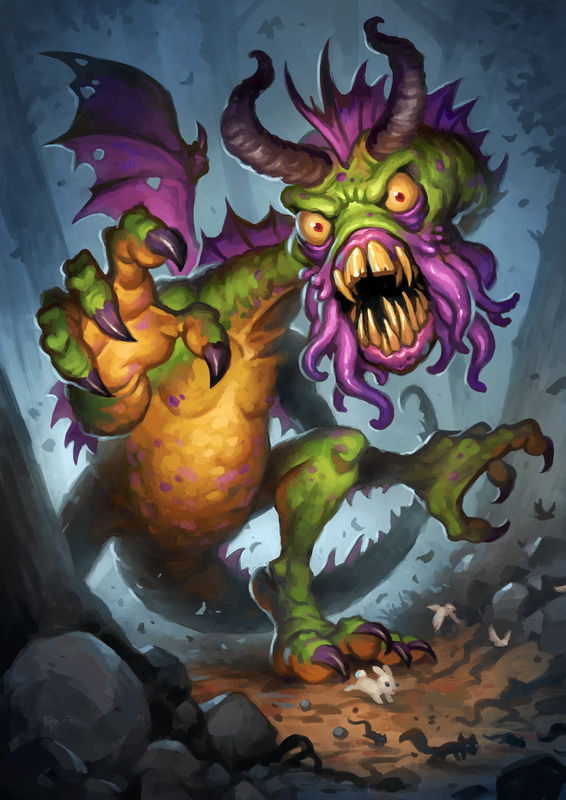 The poor soul was indeed unhinged, but the Shudderwock lurking in the Witchwood is nonetheless terrifyingly real. 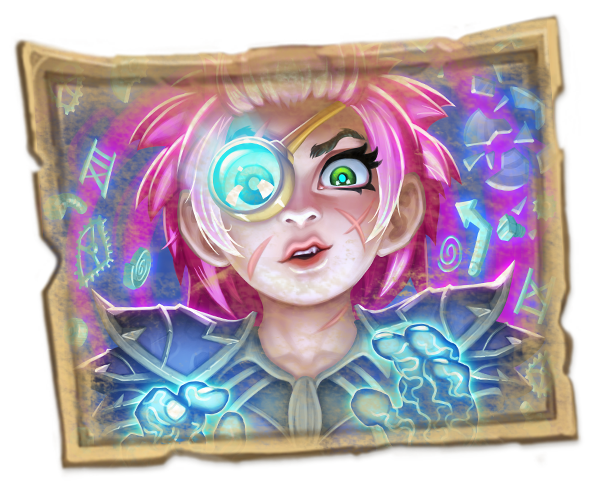 Our arcanists are as puzzled by this entity as they are by Baku the Mooneater. 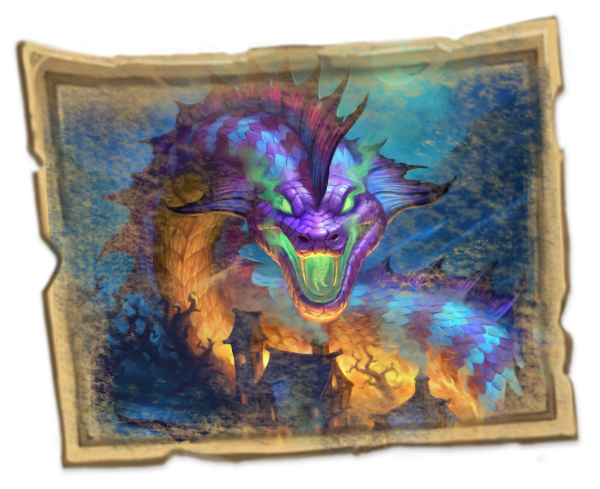 Like Baku, Shudderwock is unique to the Witchwood, and seems to exist somewhere on the edge of reality, defying easy description as well as physical and arcane laws. In fact, it is unclear if this creature is “real” in the way that one generally uses the word, though it certainly exists. 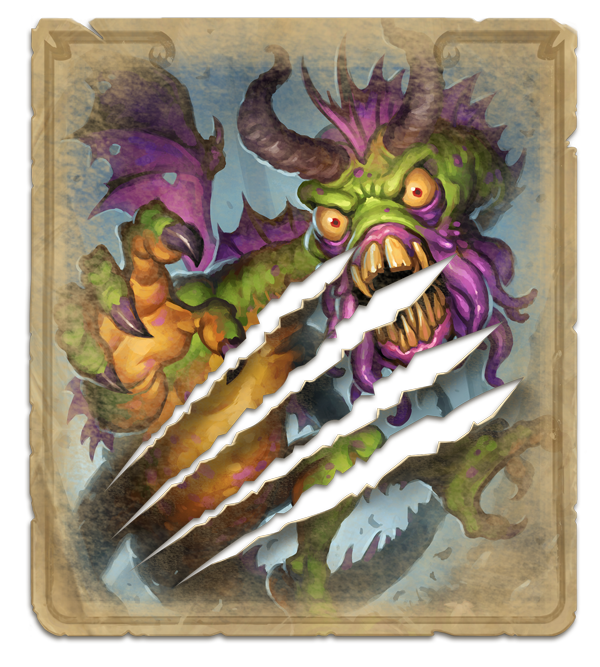 Was it always so, or is the Shudderwock yet another testament to Hagatha’s power? 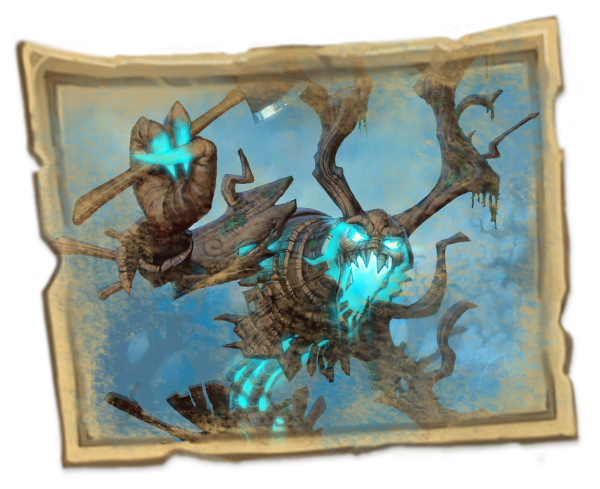 Speculations as to its nature are immaterial; we would be wise to heed the oft-repeated warning to beware the Shudderwock! It is incredibly dangerous, warping reality wherever it walks, leaving those who meet it jabbering wrecks, pale shadows broken by darkest hex. They fail to understand they are out of time, when their speech begins to rhyme. Can they recover from this diminished state? Being devoured would be a kinder fate. While the activity of restless spirits has increased sharply since the curse’s arrival, most seem to be petty, malignant things, content to rage against the living. Not so with the Lady in White, as the citizens of Gilneas have taken to calling her. 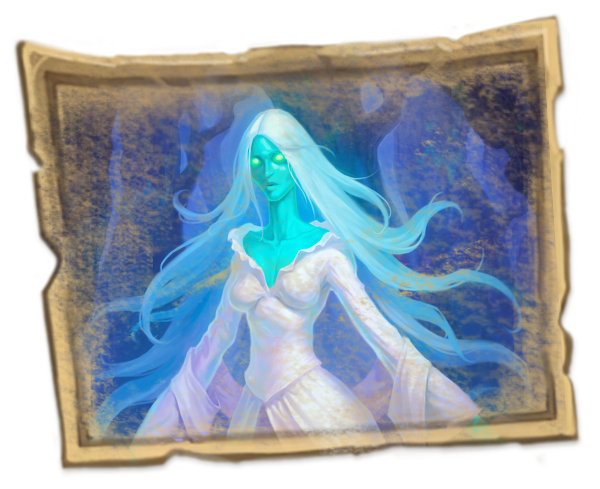 The Lady has become a symbol of hope and reassurance to the citizens of Gilneas in this dark time. Who this spirit was in life remains a mystery—if indeed she is a ghost and not something else entirely. The reports surrounding her further cloud the issue. She tends to appear only to those in deepest despair, and to each witness, she resembles a mother, sister, wife, or friend come to offer comfort from beyond the veil. Her dress is always white, though the details here differ as well; she was certainly wearing her wedding dress, claims one witness. “No, it was noblewoman’s gown,” says another. “She was a poor girl in a plain white shift,” reports a third. Regardless, one consistent element among the many accounts we’ve collected: her expression is kind, but achingly sad, and she seems to be searching for something. Most will never witness the Lady in White, but those who have who have received her blessing have seen their spirits lifted in a most profound way. 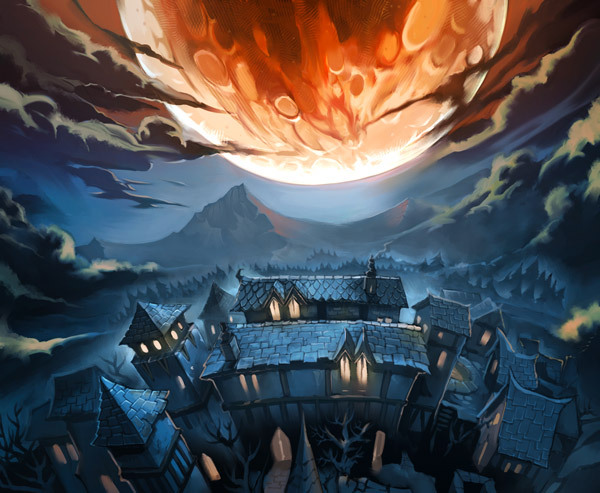 (I believe that the recent developments in the so-called Witchwood near Gilneas may present opportunities for our growing organization. The research has been fascinating thus far. Looking forward to your thoughts on the preceding dossiers.